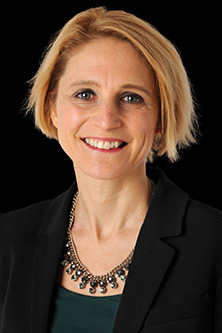 Leading food policy expert Professor Corinna Hawkes is the new Director of the Centre for Food Policy at City University London, taking over from Professor Tim Lang, who will continue to educate and research at the Centre. 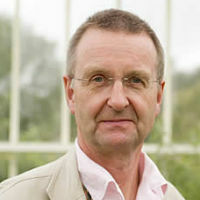 Professor Hawkes (right) joined City in January 2016 and became the Director of the Centre for Food Policy on 1st April. She will carry out her role alongside her position as Co-Chair of the Global Nutrition Report. Her appointment comes after a distinguished international career consulting and advising UN agencies, governments and NGOs while engaging in academic research with think tanks and universities around the world. Her widely cited work continues to influence policy at national and global levels. Professor Hawkes said she was delighted to be taking the Centre for Food Policy, which is part of the Department of Sociology, into its next era. “This is an exciting and challenging time to be working in food policy,” she said. “I will be working to make the Centre a go-to place for the decision makers of today looking for policy-relevant analysis while providing education for the decision makers of tomorrow.” The Centre runs a unique Masters in Food Policy that has taught scores of food policy professionals. Professor Hawkes says she is looking forward to working with colleagues Dr Claire Marris and Professor Martin Caraher, as well as Professor Lang and the Centre’s two collaborative initiatives – the Food Research Collaboration (FRC) and Innovative Food Systems Teaching and Learning (IFSTAL). The Centre also has 12 PhD students and seven Honorary Research Fellows. “We will all be working together to develop new international partnerships, taking a collaborative approach to engaging with the policy community,” added Professor Hawkes. Professor Lang (right) founded the Centre for Food Policy at Thames Valley University in 1994 as the only university-based unit in the world dedicated to examining the policy frameworks spanning the entire food system. The Centre moved to City in 2002 and has developed a reputation as one of the driving forces of the movement to put food issues on the political policy agenda.